Biochemist Kevin Corbit had a question: Why don't fat bears get diabetes or other diseases as they bulk up for winter? In humans, obesity is considered a primary risk factor for type 2 diabetes, but grizzlies, as Corbit points out to Science, don't get diabetes. The answer, according to a new study published today in Cell Metabolism, is that a cellular switch helps grizzly bears recover from potentially diabetic conditions. 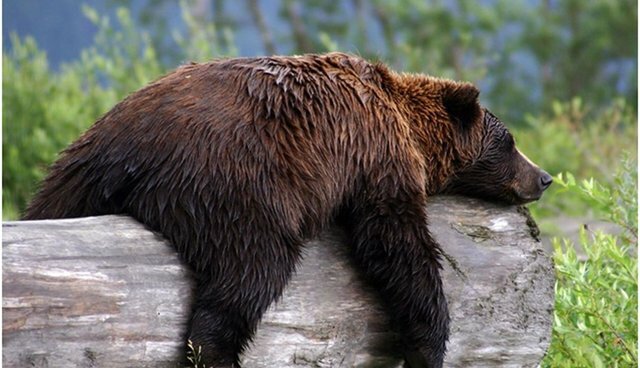 When obese bears hibernate, a biochemical signal keeps the grizzlies' fat cells from becoming desensitized to the hormone insulin. Humans, on the other hand, don't have this switch -- and as we lose the ability to respond to insulin, our bodies release too much blood sugar, resulting in type 2 diabetes. Leading up to the colder months, grizzlies pack on the pounds, eating up to 58,000 calories a day (that's the caloric equivalent of about 100 Big Macs). After a few weeks of hibernation, bears begin to show signs of insulin resistance. But by the time the bears wake up in springtime, their cellular switches have been flicked. 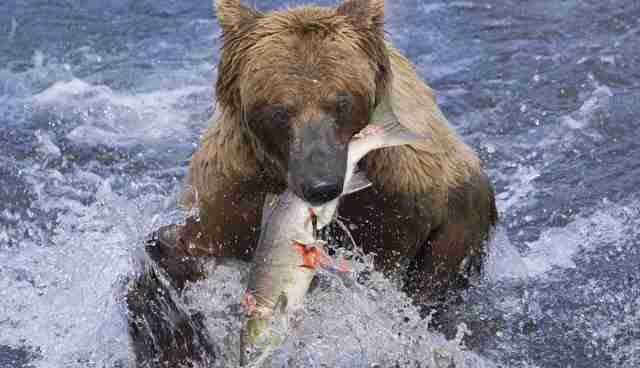 The grizzlies are once again more sensitive insulin -- it's as if the bears had averted becoming diabetic. In light of this research, Corbit, an author of the study and a scientist at the California-based biotechnology company Amgen, states that diabetes and obesity "may exist naturally on opposite ends of the metabolic spectrum," instead of always going hand-in-hand. Corbit is careful to warn against extrapolating his bear studies to specific human patients -- but he believes this research supports a more comprehensive approach to tackling obesity and diabetes. The ability to manage insulin resistance is just one of a few biological quirks that let bears survive lifestyles that would spell metabolic and cardiovascular disaster for us. Polar bears, with a high-cholesterol diet of seal blubber, avoid disease by shunting cholesterol out of the bloodstream and into cells. Corbit is hopeful that we can learn a trick or two from the bears. As he writes in a recent New York Times op-ed, "If nature has figured this stuff out for grizzlies, maybe we can for humans."